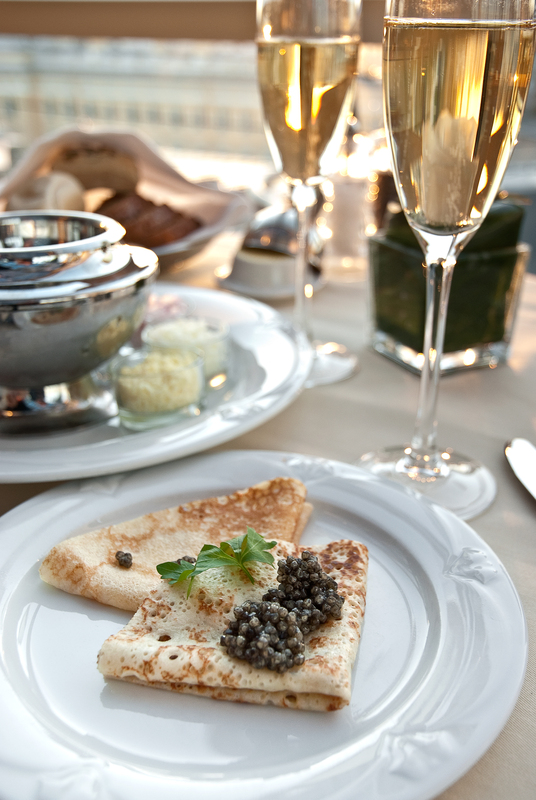 Caviar and champagne at Bellevue Brasserie in St. Petersburg, Russia. The restaurant was one of my picks for the World's 50 Best. Skim through the list of the world’s best restaurants and you won’t find one from Canada. No Langdon Hall, Rouge, West, North 44 or any favourites in Montreal or Vancouver Island. That’s not only discouraging for the chefs and restaurant owners here, it’s a shock to the man who’s been championing Canada’s culinary scene. Steve Dolinsky, an acclaimed food reporter from Chicago, is the chairperson for the Mid-United States/Canada region of Restaurant Magazine’s World’s 50 Best judging academy. This year, Dolinsky made sure there were more Canadian-based judges than ever, which he thought would lead to more of this country’s restaurants making the grade. But the two establishments that scored positions on Restaurant Magazine’s World’s Best list last year — Rouge (60) in Calgary and Cambridge’s venerable Langdon Hall (77) — dropped out of the rankings for 2010. No Canadian restaurant has made the top 50 since 2003, when Michael Stadtländer’s Eiginsenn Farm from Singhampton placed 28th, a year after coming in the top 10. Restaurant Magazine has about 800 judges — food critics, journalists, chefs and aficionados — divided into 27 regions. Each region has 31 panel members, including a chairperson. Judges fill in a ballot with their top seven restaurants, which they must have visited at least once within 18 months of the mid-November voting deadline. Four of the seven selections can come from a judge’s home region. Noma, the Copenhagen standout headed by chef Rene Redzepi, retained its No. 1 rank when the 10th annual awards were announced. He and members of his team took the stage wearing Viking helmets. Making the list is big business, as the New York Times recently pointed out. Noma went from having open tables most nights to being jammed with reservation requests from around the globe. Alinea, run by Grant Achatz, was again the top North American restaurant, coming in at sixth. In all the U.S. had six in the top 50 while France led all nations with eight. The French Laundry, the contemporary California restaurant long considered one of America’s finest, failed to crack the top 50 for the first time and so did El Bulli, the Spanish restauarant run by Ferran Adria that has won the competition an unprecedented four times and finished second last year. It will be closed in 2012 and 2013, and for that reason was excluded from the list. It’s the shutout of Canada that left Dolinsky most flabbergasted. The full list of the Top 50 Restaurant Magazine winners is available at the awards’ website. Below are my choices submitted to the academy, listed in alphabetical order; they include three Canadian restaurants and one from Chicago. Located on the ninth floor of the Kempinksi Hotel, this glamorous restaurant overlooks the Hermitage and Palace Square, a setting that’s tough to beat. The food is just as stunning, including an outstanding steak, unique and tasty mushroom ravioli, and remarkable kamchatka crab. Black-tie, white-glove service in an opulent circa-1889 mansion that once was an inspiration for Tolstoy. The food is rich and satisfying, especially the sturgeon in cream sauce. The crepes suzette can’t be passed up. I wanted to get a Toronto restaurant on the list and Claudio Aprile’s impeccable spot does microgastronomy as well as anywhere in the city. Everything from tuna sushi roll to honey-glazed scallops and beef are consistently excellent. The desserts, including a ginger cheesecake, are among Toronto’s best. Amazingly creative food that is great fun to see and taste. The foie gras lollipops are the kind of signature staple on which fantastic restaurants can build a reputation. Wonderful sushi, from the same kitchen as the more lavish Beluga. A real bargain, too, considering the favourable exchange rate means you can delight in a chef’s serving for the equivalent of about $17. The Pointe Restaurant at the Wickaninnish Inn, Tofino, B.C. Perfectly suited for its region, the Pointe is masterful with divine seafood, from dungeness crab to monkfish. For a real treat, go for a late seating in September and you just might see the moon go down over the Pacific around midnight. The kitchen never stops innovating. Vikram Vij and Meeru Dhalwala have taken Indian food to new heights and they continue to evolve their restaurant. Vij’s routinely has lineups out the door and an establishment might be tempted to sit on its laurels. This one isn’t and they should be commended. What do you think? Have picks of your own? Share with us.